We wondered why, in their infinite wisdom, British broadcaster ITV, having chosen to show a special tribute to Lewis Hamilton on Saturday afternoon, opted to show live coverage of qualifying in Montreal - just half-an-hour later - on a little watched digital channel. 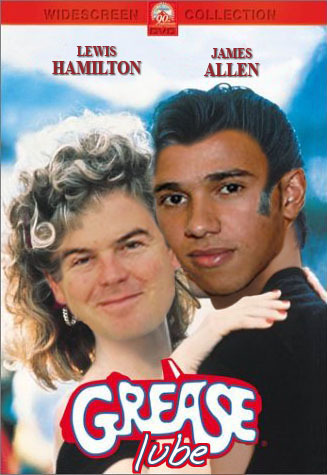 Consequently, F1 fans without access to ITV4 will have to settle for the 1978 movie Grease, the heart-warming story of two people (OK, the entire British media) and their summer of love. With special thanks to Carlos Fernandez (Bowman).